Carlos Pulido had been to the majors before. He was just happy to return this time, he told reporters. "I was having a great year in Triple-A," Pulido said, according to ESPN.com. "I knew if something would happen, I'd be back." What made Pulido's return noteworthy was exactly how long it had been since his first look at the bigs. For Pulido, it had been nearly a decade since he last stepped foot in a big league clubhouse, just over nine years to be exact. Pulido made his return in August 2003. He'd last been to the majors in August 1994, pitching for the Twins just before the strike. In between, he played in the minors, Japan and Mexico. Then, finally, he played again in Minnesota. 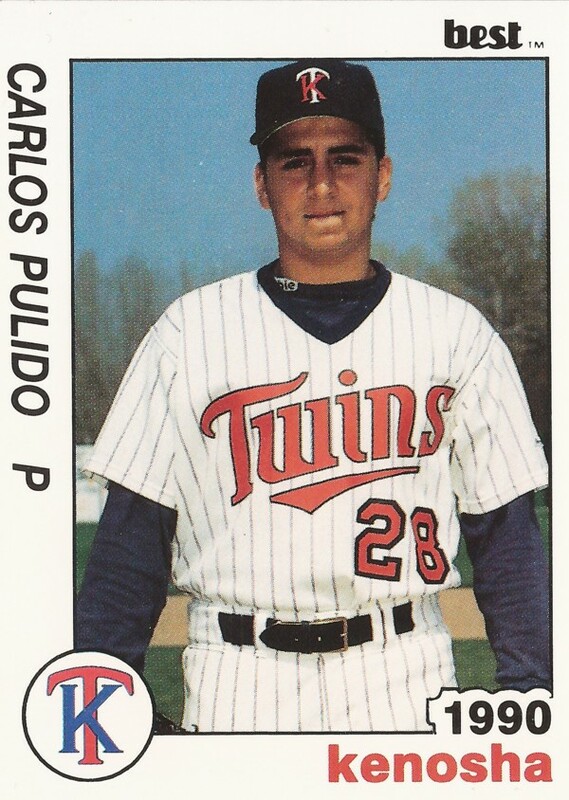 Pulido's career began in 1989, signed by the Twins as a free agent out of his native Venezuela. Pulido started with the Twins in the rookie Gulf Coast League. He moved to single-A Kenosha in 1990, then high-A Visalia in 1991. Pulido got his first regular time at AA in 1992 at Orlando. Used mostly as a reliever to that point, Pulido picked up a win in his first start of the year that August. He hit AAA Portland in 1993. Then, in 1994, he made Minnesota. He stayed in the majors the entire shortened season, getting into 19 games and starting 14 of them. He went 3-7, with a 5.98 ERA. In May 1994, Pulido picked up his first big league win by going eight innings against the Royals, according to The Associated Press. "He was throwing the fastball in and the screwball away," Pulido's catcher that game Derek Parks told The AP afterward. "Basically it was all fastball and screwball. He was strong. He was still strong in the eighth inning "
Pulido then started working to get back. He played 1995 back at AAA for the Twins, then 1996 between AA and AAA for the Cubs. He then went through the Expos and Mets systems before arriving in independent ball. It was in 2000 that Paulido made it to Japan. Playing for Orix that year, Pulido got into 42 games, starting 13. He went 7-4, with a 5.26 ERA. He then returned for 11 more outings with Orix in 2001. 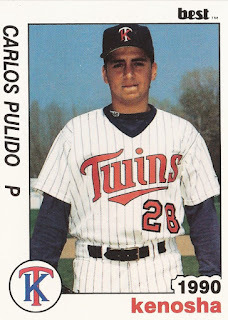 After as season in Mexico, Pulido returned to the Twins system for 2003. In 25 starts at Rochester that year, he went 12-5, with a 3.56 ERA. Called up to the Twins that August, Pulido got into seven games, starting one. He gave up seven earned in 15.2 innings. He then rounded out his major league career with six more relief appearances in 2004. He played two more seasons in Mexico, ending his playing career. He then is credited with serving as pitching coach in 2007 at short-season Spokane.